It’s hard to imagine why the tourism industry of a country with mesmerising valleys, breath-taking meadows, and stunning lakes, has been neglected and left underdeveloped. “The thing about tourism is that the reality of a place is quite different from the mythology of it” – Martin Parr. Pakistan, unfortunately, is a country that has been at the receiving end of such mythology and perception for a good while now, even as things on ground have changed quite drastically over the last few years. According to the National Counter Terrorism Authority (NACTA), terror-related incidents have declined 58%, from 2,060 incidents in 2010 to 681 in 2017. These figures are testament to the success of our Army during the massive military operations conducted in the northern areas of the country in the past several years. However, where the army has succeeded, the nation – the people, the media and the government – has collectively failed to put forward a positive image of Pakistan. After all, it’s hard to imagine why the tourism industry of a country that is home to five out of 14 of the highest peaks in the world, a country with mesmerising valleys, breath-taking meadows, and stunning lakes, has been neglected and left underdeveloped. And this is just for the province of Khyber Pakhtunkhwa (K-P), Gilgit-Baltistan (G-B) and Azad Kashmir. Our tourism opportunities do not end here. Pakistan is home to a lot of historical sites, from the Indus Valley Civilisation’s presence in Mohenjo Daro and Harappa to the remnants of the Mughal Era such as the Badshahi Mosque and the Shalimar Gardens in Lahore. Last year, the British Backpacker Society ranked Pakistan as the top travel destination in the world, describing it as one of the friendliest and most beautiful countries on earth. We have so much to offer and yet no one’s biting, but we only have ourselves and our inaction to blame for that. The following are seven steps that Pakistan can easily act on to promote tourism in the country. All Pakistanis are aware that travelling internationally with a green passport can be a nightmare. However, not many know that travelling to Pakistan on a foreign passport is not a simple task either. There are lots of formalities the applicants have go through when applying for a Pakistani visa. First, there’s a Letter of Invitation you have to obtain from someone in Pakistan, assuring they will take care of your stay in the country. Then there’s a lengthy Visa Application Form (around six pages), as well as supporting documents. 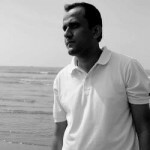 With the country seeing better days now in terms of security, at the very least the process can be made simpler by letting go of the formality of a letter, so that people do not instantly get turned off by the idea of visiting Pakistan if they do not know anyone here to vouch for their safety. The application form should also be made concise, as we don’t want paperwork to be the reason why foreigners don’t want to come to our beautiful country. Lastly, the process can also be made available online to facilitate foreigners further. Anyone who has travelled up north has witnessed the lack of quality accommodation options there. With the exception of few areas, there are hardly any international hotel chains, while the local hotels and lodges aren’t always the best places to stay at. They also rarely have an online presence, which is absolutely necessary in an era in which hotel bookings are mostly done online. The situation is even worse in cities that are not Lahore, Karachi or Islamabad. The government should thus incentivise foreign hotel chains to come and invest in an evolving tourist destination, and for local hotels to establish a reliable name that tourists can trust. Existing hotels should also build their online presence, for this will surely attract foreigners when they are planning a trip to Pakistan and surveying accommodation options online. There was a time not too long ago when Pakistan was considered the regional hub for many international airlines, such as the KLM Royal Dutch Airlines, Lufthansa,and Cathay Pacific. Sadly, most of these airlines no longer operate in Pakistan. Most foreign airlines currently operating in the country are either Middle Eastern or East Asian. The new government needs to chalk out a plan to attract more foreign airlines into resuming operations in Pakistan, as a lot of tourism is lost mainly because direct flights to Pakistan are no longer available from many destinations around the world. Whenever you travel to any popular tourist destination around the globe, the one thing you’ll notice is that each will have tours and events designated to showcase their local culture and history. This is a department where the country’s leading schools of performing arts can play a role. They can train young artists to perform small shows showcasing local culture at popular tourist destinations. This will not only attract tourists towards our culture, but also ensure a livelihood for local people. The role of the media is most critical in promoting tourism in a country. While we have seen local media groups partnering with foreign media groups to bring in news and movie channels, we are yet to see anyone partner with travel and adventure channels like National Geographic or Discovery and bring them to Pakistan. A case in point is that of India, where local media groups have partnered with prominent foreign channels and have invested in a lot of local content for these channels, ultimately promoting their culture with products ranging from documentaries on temples to their national game reserves. This is all for the sole purpose of promoting India as a tourist destination. So why can’t Pakistan do the same? Tourism in Pakistan, be it domestic or international, is most commonly associated with either a visit to the northern areas, or major metropolitan centres like Lahore, Islamabad and Karachi. One reason for this is that we haven’t developed many tourist spots in areas belonging to South Punjab, Sindh, and especially Balochistan. Multan, for instance, can be a tourist heaven if we begin promoting it as the city of Sufis and saints. Similarly, Gwadar has the potential to be developed along the lines of Goa, for it is evident that clear sandy beaches can attract a lot of potential tourism. This beach could become a great alternative to popular Southeast Asian beach destinations like Thailand, Phuket and Bali. The last step we need to take, arguably the most important one, is the need to rebrand Pakistan and project a different image to the world to alter existing perceptions. Almost everyone who visits Pakistan praises the nation for its beauty, potential, and friendly people. However, that is not an image most people in the world are aware of at the moment. Going with something along the lines of “Malaysia Truly Asia” could perhaps be a good idea for rebranding. 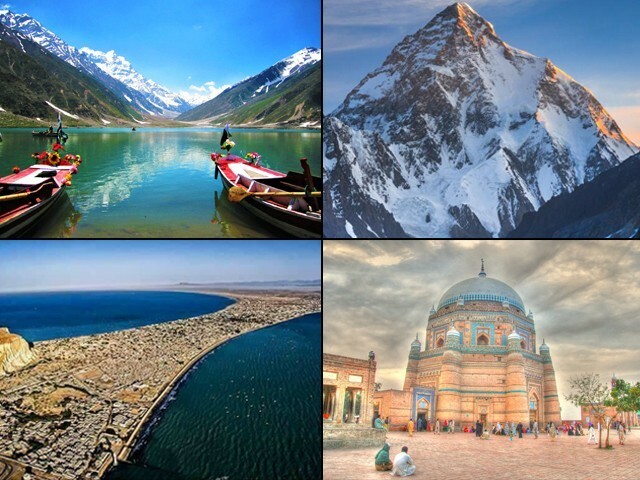 Thus, the announcement by Raja Khurram Nawaz, a leader belonging to the Pakistan Tehreek-e-Insaf (PTI), to promote tourism by showcasing Pakistan as “Asia’s Best Kept Secret” is a step in the right direction. If the government manages to pull it off, this could very well be a small step that proves to be a giant leap for this country. Thank you Gauravi. You are right about the Bikini and Alcohol part. What we can do is develop Muslim friendly beaches then. For instance In Malaysia there are plenty and lots of Non Muslims go there too (and are mindful of Muslim requirements) just because they are beautiful beach resorts. Important thing is to develop our beaches, beautify the areas surrounding them, and having good standard resorts as a starting point. Well I believe the 100 Days agenda is working. PK is hugely on our list of must see places. We are two family that will be trekking to K2 with kids and we are seeking a 3rd family, preferably Pakistani to go with us. The trip will be filmed for our youtube channel and will be covered in our blog. We are raising money for this trek through sponsorships and all proceeds will be going to a charity that helps with clean drinking water in PK. I will omit links and names as I don’t want to spam this comment section. Looking forward to your Youtube channel videos of your Journey. Welcoming you in advance. Hope you have a pleasant stay.